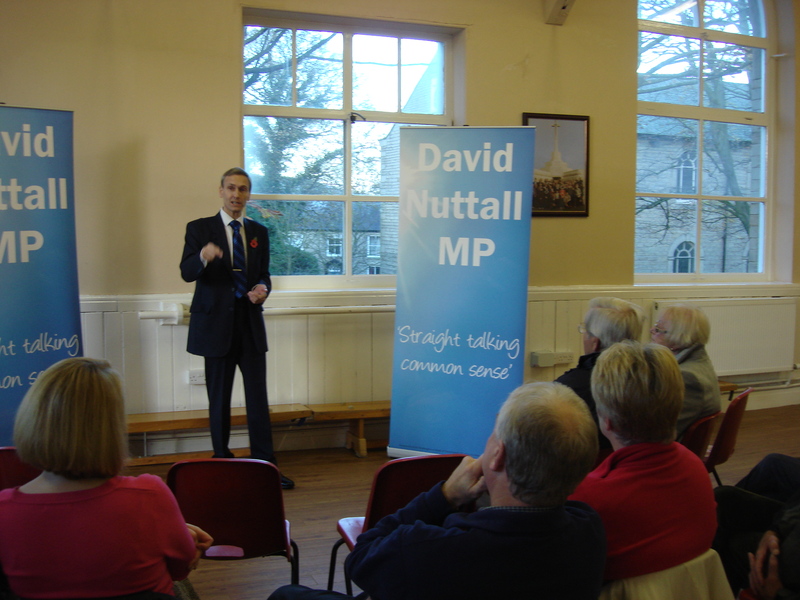 On Saturday before Remembrance Sunday I held a Question your MP event in the Parish Hall in Tottington. Unfortunately, it clashed with Bury playing at home but it was very difficult for me to come up with a free Saturday afternoon. The idea is that anyone who registers can turn up and let me have their opinion, ask me any questions or just generally have a moan! The Tottington event seemed to go down quite well even those who openly admitted they will never vote Conservative appreciated the fact that I am at least prepared to hold such open events and allow people their say. On Thursday I attended the funeral of the late Jack Kenneford who was well known for his wide variety of interests in the local Community. He had died on 11th November and it was particularly poignant because I was only able to attend due to the fact that I was back in the Constituency earlier than normal due to me having accepted an invitation to be the guest speaker at Tottington High School’s Celebration of Excellence evening later that day where Jack was Chairman of Governors. Neville Kenyon stepped in to act as Chairman of the event. The pupils demonstrated their musical talent and the prize winners had their achievement officially recognised. To be honest I never knew David Nuttall paid for these events himself, let’s just say that’s a welcome break with tradition going off the record of some Bury MPs. Ivan Lewis has spent thousands of pounds of self-promotion material, check out his Communications Allowance prior to its abolition by David Cameron. This was a set up were existing MPs could print and by Royal Mail, deliver literally tens of thousands of leaflets, of the highest quality, just to ‘keep in touch’ with their constituents. It was a con brought in by Tony Blair to keep his MPs embedded in marginal constituencies. David’s Cameron & Nutall could have kept it: they didn’t, they scrapped it as it was a waste of taxpayers cash. Keep up the good work David, you have the respect of your constituents. Haha, “question your MP in Tottington”! Ofcourse you would have it in your Tory strongholds. How about come to East Bury so we can grill you and your performancy properly!! P.S Did you claim them banners in the photo on your expenses?! No I paid for the banners myself. Pretty low would be my guess from experience. I wouldn’t and I didn’t, and I am not a constituent. So what, it’s your jobbe. You get paid to do this. Your constituents (not me) voted for you to do this. And if they don’t think this is right for them, they should be telling you, not I. If you are their MP, why should they – your constituents – have to register at all? All registration involves is letting the office know they might turn up so that we can have a rough idea of numbers. There are no forms to fill in all we need to know is a name and address. I think most people would accept that is a fairly reasonable requirement. I should add that I pay for the costs of the event out of my own pocket anyway!